NO CLASS in APRIL only. Claudia will guide you through the process of paper piecing. Claudia will start the class series with basic instruction on paper piecing. 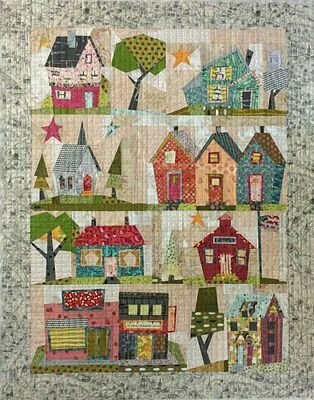 If you have never done paper piecing, she will gently guide you through the process and give you the confidence you need to continue classes with her and move into the Empire Place project. If you have any interest in paper piecing, this is the class for you. Claudia has excellent techniques and tips to help you learn this amazing method of quilting. This class will change to morning, from 10 am to noon beginning APRIL 2019.